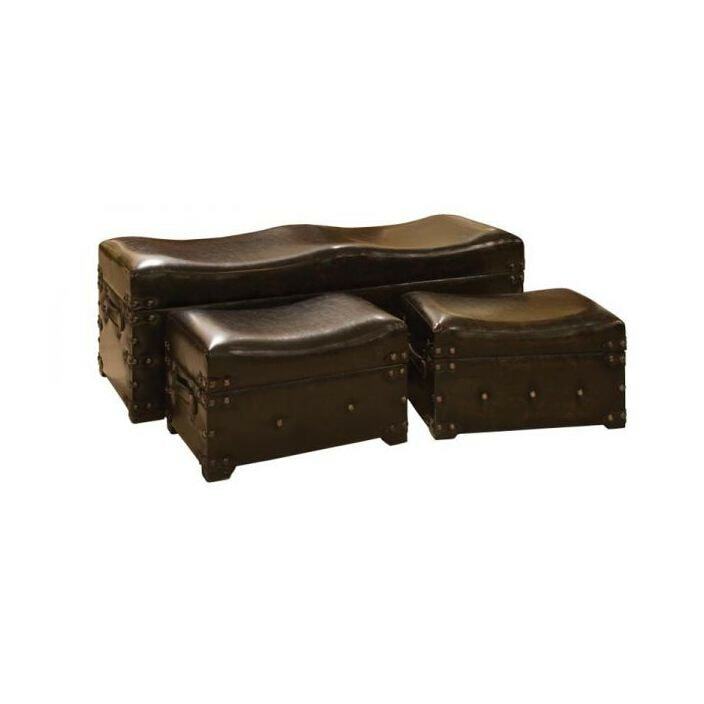 Solve your storage issues with this delightful Set of 3 Antiqued Leatherette Bench Trunks. Crafted by hand from natural products this Set of 3 Antiqued Leatherette Bench Trunks has a solid feel and won't disappoint. The Set of 3 Antiqued Leatherette Bench Trunks is a versatile item that will find its way into many homes.